Myanmar is the most beautiful and the only unspoilt country in South East Asia. Most tourist that are visiting this area of the world, choose the famous route Thailand–> Cambodia–> Vietnam. We did the same at our first trip. 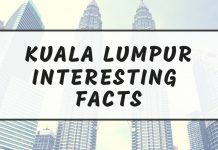 We were just searching for the best tips in the Internet and everybody said that these countries are the best to visit. 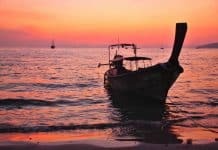 Well, they are not bad, but after visiting almost every country in SE Asia, we know that there are many destinations that are more amazing, like El Nido in Philippines or… Burma in general with beautiful places Myanmar! We can’t believe no one told us before that this country is so amazing. Why we haven’t found any informations about it in the Internet? 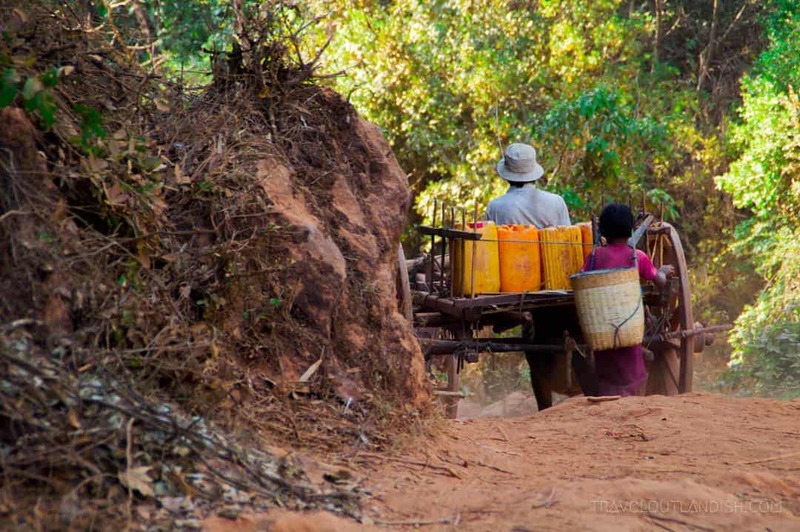 Why any traveler that we met on the road didn’t mention Burma? To be honest, we visited Myanmar because it was one of the last places in South East Asia that we haven’t seen. Our main goal is to visit all the countries in the world, so we had no choice- we bought tickets to Burma. It was love at the first sight. As soon as we get off the plane, we felt the unique vibe on this country. Everybody was smiling and was very helpful. It wasn’t crowded, like on the other airports in Asia. On the way to our hotel, we were watching people from the window of our taxi. It was a cultural shock for us. It turned out that men in Myanmar wear skirts! There were so many things that positively surprised us in this country that we wrote a separate post about it: interesting facts about Myanmar. Unfortunately, our time in Burma was limited and all we saw was Yangon. 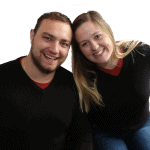 We asked other travel bloggers to help us in creating this post. They wrote about things they like the most and beautiful places Myanmar. After seeing all these incredible photos and reading their texts, we really can’t wait to visit Burma again! 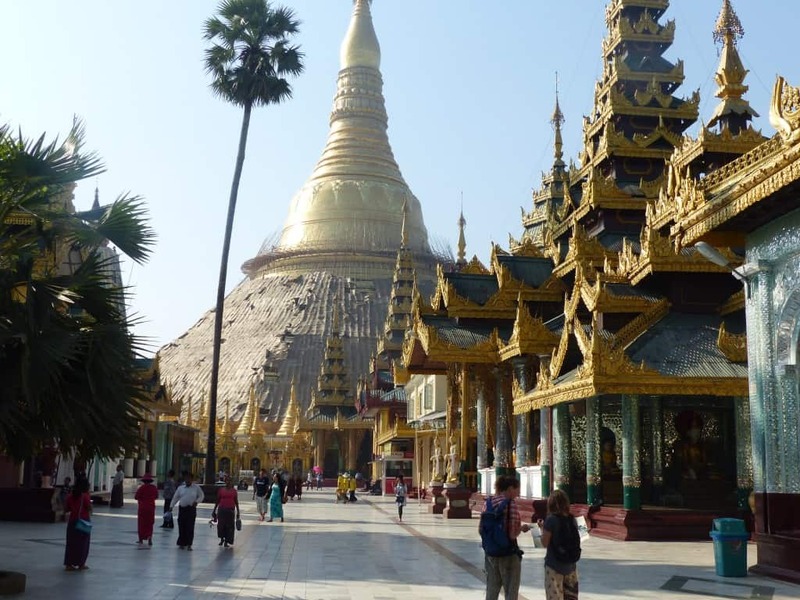 I had been told Shwedagon Pagoda was the one must visit attraction in Myanmar and I have to agree – it’s amazing! Shwedagon is a big site with many pagodas and images of Buddha. The centrepiece is a 325 foot zedi, adorned with gold and gems which is believed to enshrine hairs of the Gautama Buddha. It’s a spectacular sight but it’s also just a nice place to wonder, sit back and take in the relaxed and special vibe. It is believed that Sule Pagoda is one of the oldest temples in the world. Burmese people claim that it was built more than 3,000 year ago! 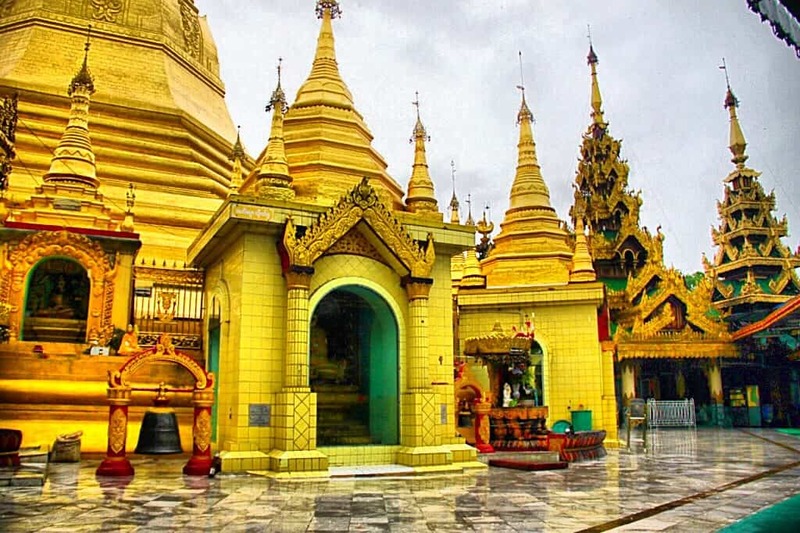 It is situated in Yangon, just like the Shwedagon Pagoda. Why we loved it? Mainly because it was peaceful and quiet. Not many tourists visit Sule Pagoda and that’s what make it beautiful. We spent more than an hour there, sitting and watching local people praying. It was an amazing experience! The architecture of the Sule Pagoda is great as well. Almost everything has a golden color and it’s shinning beautifully in the sun. Myanmar is comprised of many different ethnic groups and tribes, each with their own unique traditions. One common one is to safeguard their women from neighbouring tribesmen who may try to steal them away. The answer? Ugly-fy them to make them less appealing. For example, in the Northern Chin states, women used to have their faces tattooed, but this practice was banned in the 1960s. 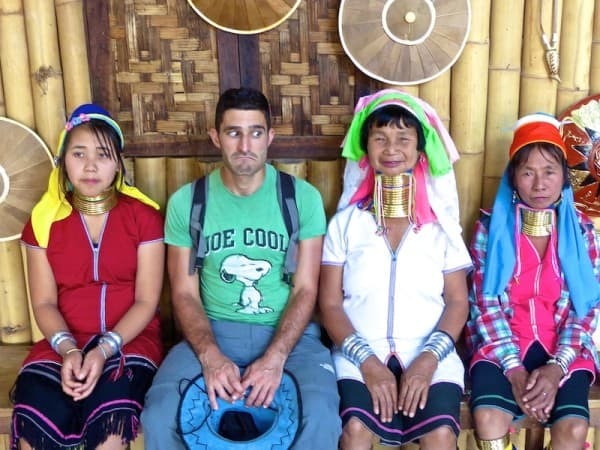 Also, the long necked women of the Kayan tribe in East Myanmar, wear brass neck coils around their necks from a young age. Over the years, the weight of the brass pushes the women’s collar bone down, compressing their rib cage. Some of the women of the Kayan tribe gather at the very tourist Inle Lake where you can meet them in person. 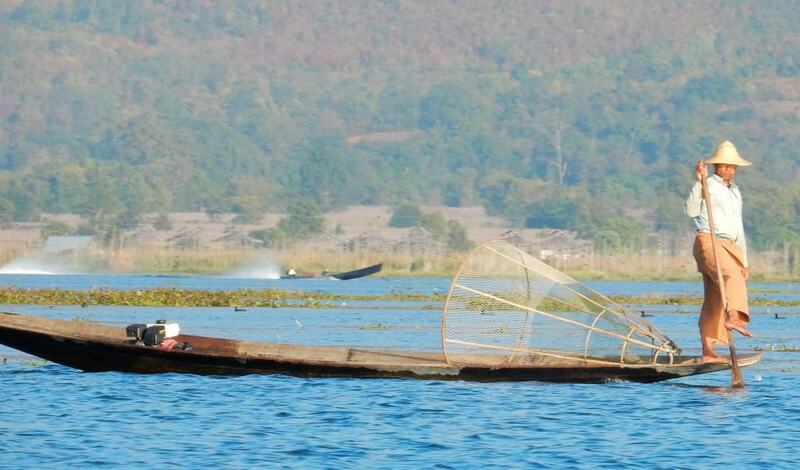 Hire a wooden boat for the day and prepare to be amazed as you travel back in time on Inle Lake where fishermen are known for their unique one leg rowing technique. Watching them beat the water with a paddle and move about with one leg is a site to behold, but I was more captivated by daily life on the lake. Mix with locals stocking up on wood at the weekend market and wave at villagers washing, cooking, and playing soccer along the shores. Pop into the many traditional craft shops on the lake where friendly villagers and long neck women will demonstrate techniques they have practiced for centuries. You’ll leave Inle Lake with hundreds of pictures, handcrafted souvenirs, and a memory to cherish for a lifetime. While most of the world’s great hikes end with a high-altitude summit, a trek from Kalaw has an end point of an entirely different kind. After 61km of trekking through remote villages, becoming immersed in local life, and sleeping on monastery floors, you’ll wind up at the spectacular Inle Lake. You won’t miss the scenic overlook at all! The pagodas and temples of Myanmar are absolutely breathtaking but we found ourselves in need of a down day in between busy sightseeing days. Enter Red Mountain Winery in Inle Lake! 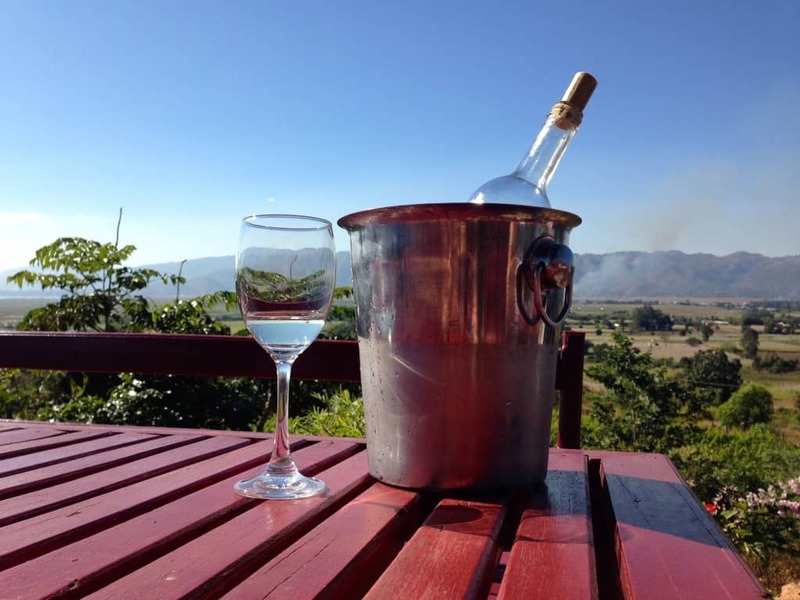 The winery is set on a beautiful hillside with sweeping views of Inle Lake and the nearby town of Nyaung Shwe. Plus, you can ride a bicycle right up to the winery, passing through the vineyards on the way. We chose to do a tasting and found a white we loved! So we ordered a bottle and relaxed on the terrace overlooking the vineyards. A great way to spend a relaxing day! Getting up at the crack of dawn isn’t for everyone. 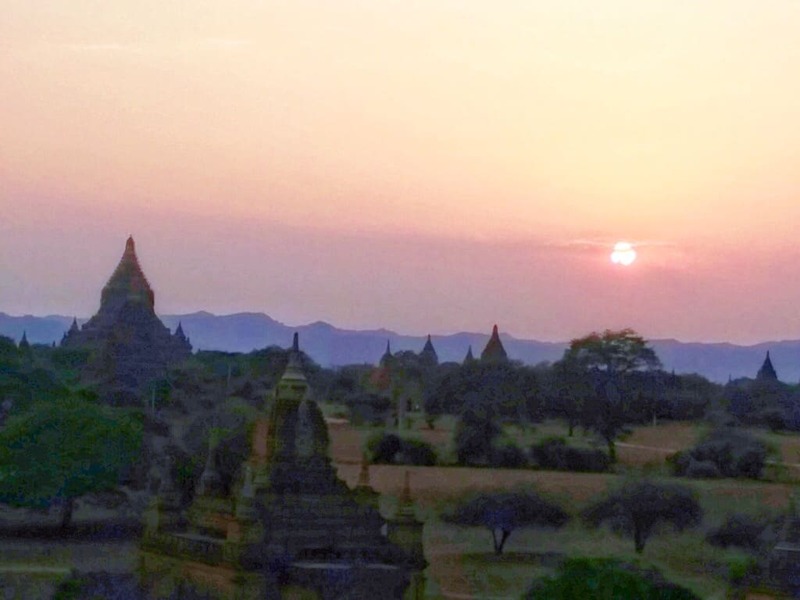 Unless you are in Bagan- then it’s a must to watch sunrise. While some choose to watch the sun rise from a hot air balloon, I chose to watch from the top of an ancient temple. 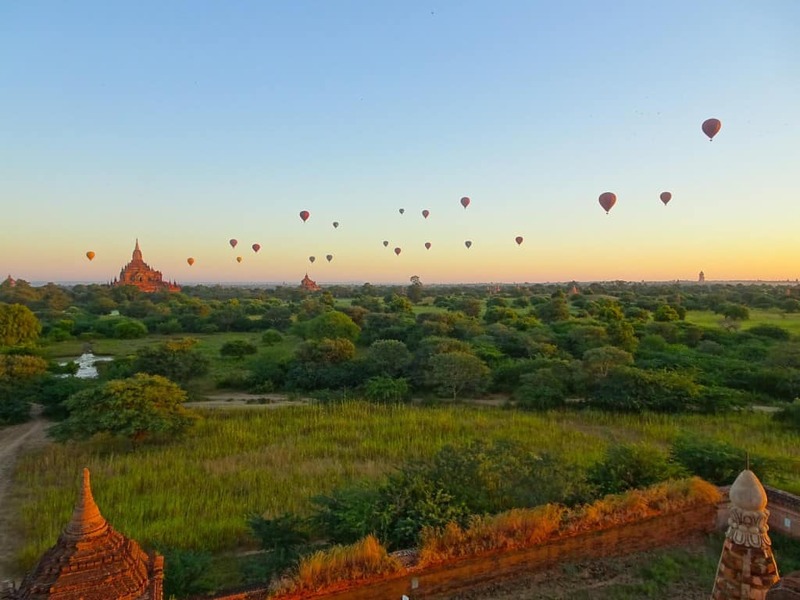 Bagan is filled with thousands of temples there are a handful known as being prefect for sunrise views. Of course this means they are filled with tourists; making the moment more crowded and less magical than one would hope. However, thanks to a tip, I managed to find a ‘secret’ temple. One that doesn’t appear on the maps and is known only by locals and those of us who were lucky enough to be told about it. With any luck you (and your friends) will be the only ones there; watching the sky change colours as the sun bursts over the horizon, air balloons floating overhead. No crowds, no unwanted noise, and no pushing and jostling to get a photo. Just you and your friends, and maybe a local or two, watching the start of a new day. My secret temple is located just outside of Old Bagan, close to Sulamani temple. For more about the experience and directions click here. 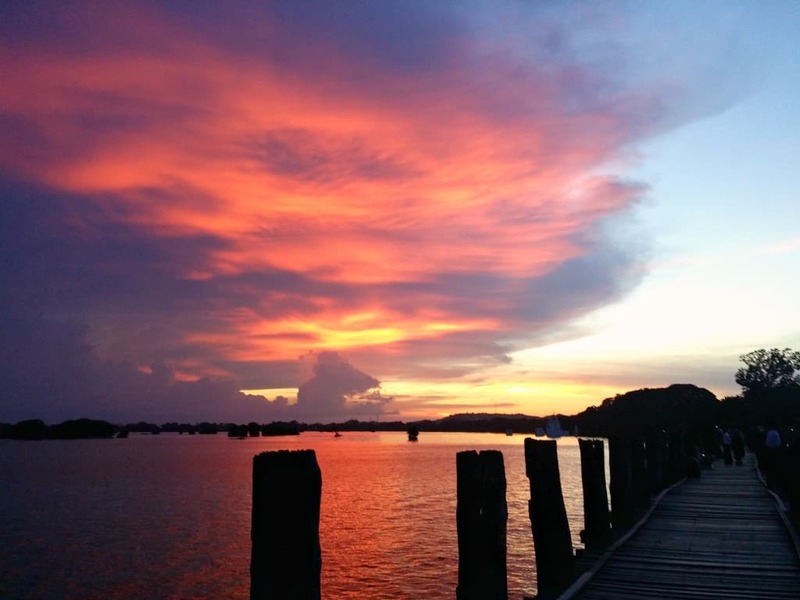 A white beach, a sandbar, and delicious seafood – Ngew Saung has it all! To make things better, there’s a spot on the beach with two little pagodas to make your sunset viewing epic! The name Ngwe Saung means silver beach in Burmese and is an apt description. The main beach of Ngwe Saung appears to be “endless” because it stretches for many kilometers. When the tide is low, a little sandbar emerges that leads to Lovers’ Island. 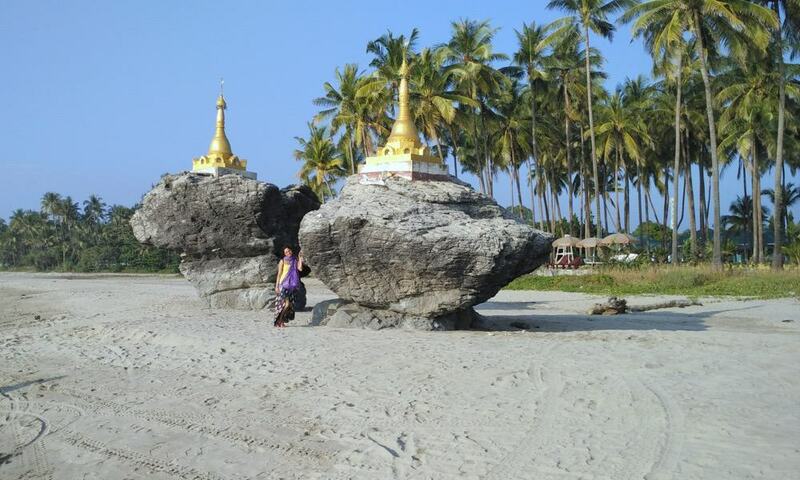 Ngwe Saung is easy to reach from Yangon by an overnight bus and is a destination that should not be missed. Not to be missed when you are in Mandalay is the world’s longest teakwood bridge. Made up of 1.2 kilometers of teak planks salvaged from an old Amarapura palace, U Bein Bridge is still very much used by the locals today. It is also not uncommon to see saffron-robed monks walking with tourists and locals alike. The best time to go would definitely be sunset and you can opt to hire a boat to capture the bridge with the sunset. 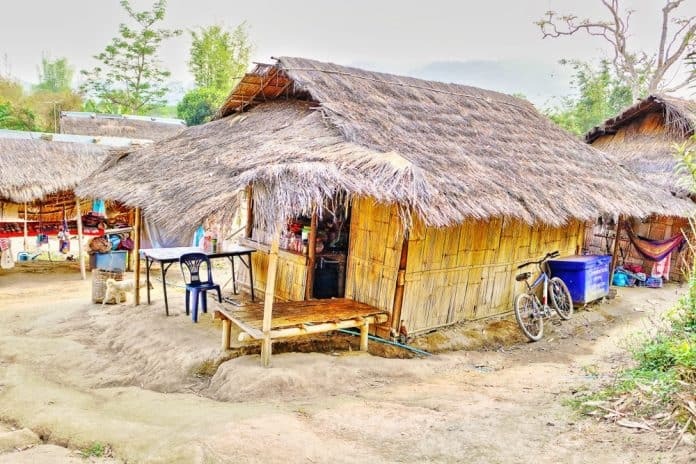 The small village of Kya Hnyat is located along the Irawaddy River in the far northern reaches of Myanmar. This is a simple place where people are desperately poor but reveals the joy of life and the endearing hope of young children. I visited an orphanage where the children happily played soccer and rode bicycles, as well as a monastery filled with young monks learning the ways of a Buddhist life yet still filled with playful and mischievous charms. With more than 1,500 Pagodas in Bagan, I’m privileged to climb the 10th century old Pagoda that is surrounding the beauty of this town. This experience will forever be locked into my memory bank. That feeling while waiting for the sun to set around a very peaceful afternoon with the musty smell of the sand, and solemnly hears the blow of the wind. That occasion is an opportunity not all have experience and I’m lucky to have traveled that far and be in that moment. For I’ve heard after that time, climbing the many century old Pagoda in Bagan has been prohibited until at present. Never miss to visit Bagan when you are in Myanmar. 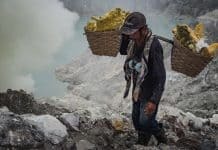 If you like nature, getting off the beaten path on a motorbike, and giant Buddhas, Mawalamyine needs to be on your radar when traveling in Myanmar. Located 300km Southeast from Yangon, this gorgeous coastal city has a fascinating history with so much to explore. One of the highlights of our time there was riding a motorbike to the Win Sein Reclining Buddha. 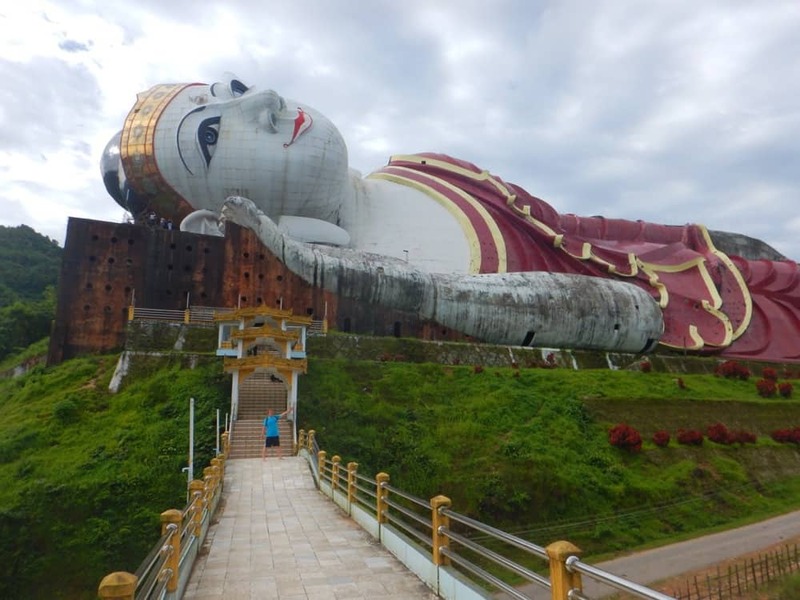 At 180 meters long and 30 meters high, it is the largest reclining Buddha in the world. Inside the Buddha is a museum featuring life-sized models depicting the life of the Buddha as well as graphic scenes of hell, death and destruction. It’s a bit freaky at times, so bring a flashlight and a friend! Besides exploring the Buddha, you can ride your motorbike along the surrounding roads leading to many other impressively large statues. The higher up the hills you climb, the more vast the views become of green trees, mountains, and the ocean in the distance. Up on the hills there are killer views for sunset! We were fortunate to meet and be blessed by U Myint Oo, the then 94 year old monk who spearheaded the building of the Buddha back in the 1990s. We also met a large group of pilgrims who were making their annual visit to work on construction and maintenance of the Buddha. They invited us to join them for dinner in the temple where they were all sleeping for the night. That’s what we love about Myanmar; wherever you go there are incredible sights and kind strangers waiting to become friends. The Nyaung U Market in the Old City of Bagan was one of the highlights of my trip to Myanmar. I loved how everything was so cheap, and the people were friendly (even if you didn’t buy anything). 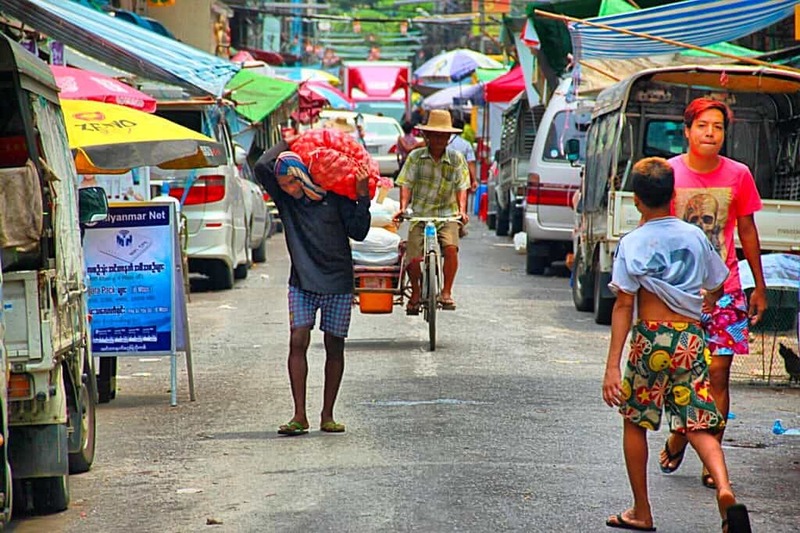 You can find everything from clothes, to food, and even household appliances at this market. A popular day trip when in Thailand is a visit to the Bridge On The River Kwai and Kanchanaburi. This is where the Thailand– Burma railway line that was constructed by Allied prisoners of war during WWII begins. What is considerably less visited is the other end, 415km away in Thanbyuzayat, Myanmar. Around 12,000 Australian, British, Dutch and American POW died during the construction of this railway. Many of them were never repatriated so cemeteries in Thailand and Myanmar were created as a final resting place. 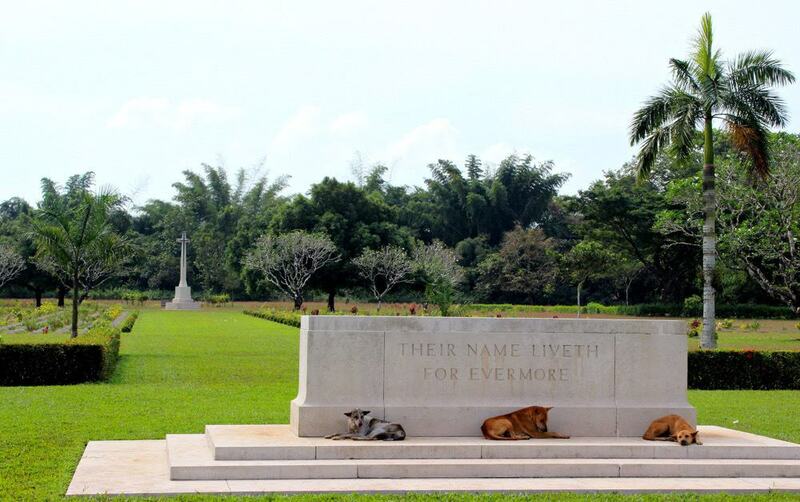 Having been to Kanchanaburi and visiting the cemetery there I felt it was my duty as an Australian to pay a visit to the Thanbyuzayat cemetery when I was in Myanmar. Located approximately 90 minutes south of Mawlamyine the drive takes you through small Burmese villages. As is the case with all Commonwealth cemeteries around the world the Thanbyuzayat cemetery is immaculately kept and well maintained. It looks completely out of place along a dusty road with livestock and street vendors surrounding it. Grave plaques provide names of soldiers, their ages, where they’re from and perhaps a short quote from a loved one. There are rows upon rows and it’s quite overwhelming to know that most of these men didn’t make the age of 30. Thanbyuzayat is a really moving place, and when reading the guest book of visitors who have come and found the graves of their relatives it’s enough to bring tears to your eyes. 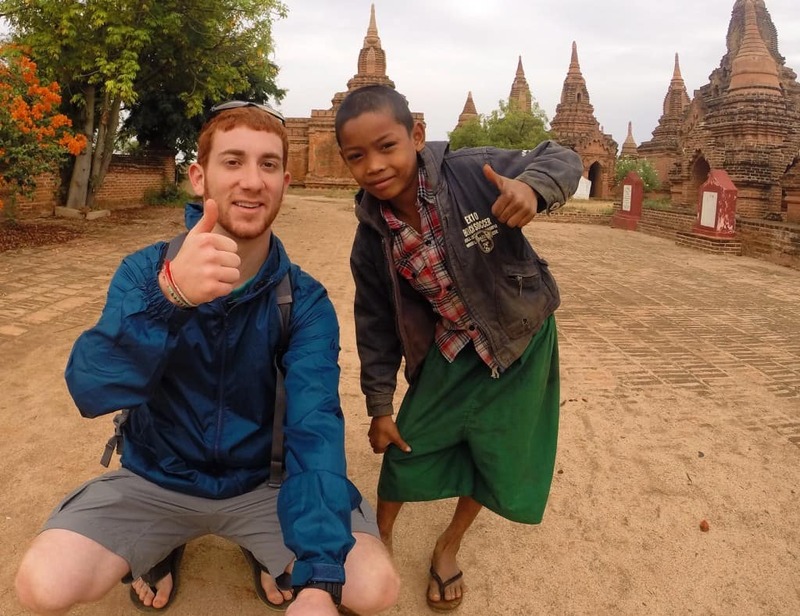 Hop on the back of a motorcycle taxi in Mandalay and spend a half day in magnificent Mingun! 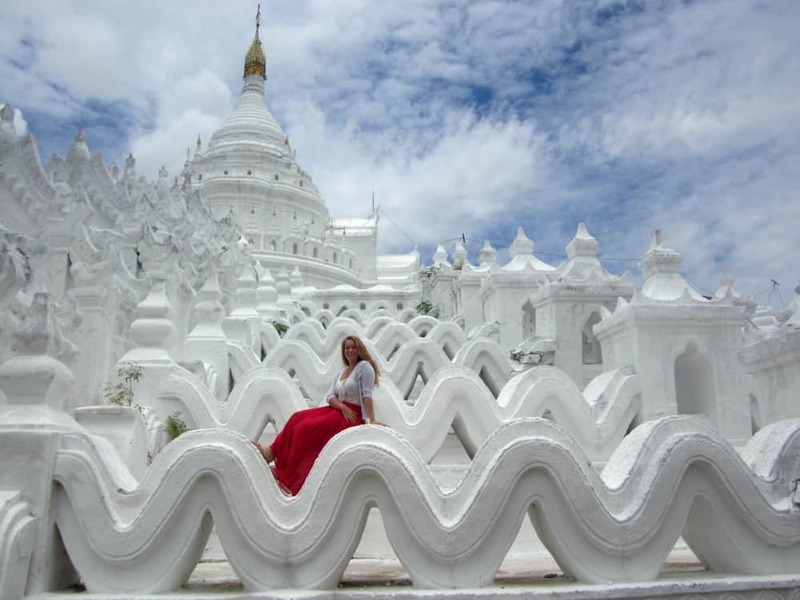 Lovers of history and architecture will revel in the earthquake-cracked ruins of Mingun Paya and the birthday cake layers of the white Hsinbyume Paya. Sip a cup of Burmese sweet tea along the Irrawaddy River before marveling at the world’s largest ringing bell. Mingun will truly leave you enchanted! Which of these places would you like to visit the most? Do you know any other awesome destinations in Myanmar? Remember, sharing is caring! Share your thoughts in comments! 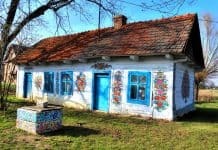 Ten Jaw-dropping Places in Poland That You Will Want to Visit! Such an amazing country and I was in heaven when I stumbled across Red Mountain Estate! 🙂 Thanks for including me. Ahhh I just want to go back. One of my absolute favourite countries for sure! It’s one of our favorite countries too! We’d love to revisit as there is so much more to see in this beautiful country (Kya Hnyat, for example)! Me and Cez visited Myanmar this year and we absolutely loved the country. Locals are simply amazing and wish I could return there!! Bagan was definitely my favourite one! That’s exactly what we were thinking when we were putting together this collab! Wow, who could’ve imagined Myanmar is a paradise. I thought Myanmar is not a safe because I read a lot of negative things about the country. But now, your blog inspired me and put it on my backpacking bucket list. Awesome! Happy Travels Karolina. Honestly, deep inside I am envious Karol because you were able to explore Myanmar. My friend and I together with his girlfriend are planning to backpack first whole Europe then, Asia. Now, he is in Thailand with his GF. He falls in love with Thailand. ^_^ By the way, how many days did you spend on exploring these 15 beautiful places and how much? Thailand is so beautiful, no wonder he felt in love with this country :). We’ve been in Myanmar for less than a week- most submissions in the post are written by our friends and fellow travel bloggers. Interesting blog article! You know There are so many bloggers who don’t put any personality into their posts. You should add Beaches, like Ngapali beach in Rakhine State, Ngwe Saung beach in Ayetarwaddy region of Myanmar. Myanmar is one of the best famous travel places. There have many interesting and beautiful places in there. I am shok on some reason on this country culture. The throat ring is unique. This people throat is so long. The white architecture is really good. I would like to use two of your images in our website which will be established in Jan 2019. Could you please let me know your approval if possible? Please email me on karolina@karolinapatryk.com to discuss details. Myanmar is the most beautiful and the only unspoiled country in South East Asia. I was impressed by all the places you could visit in this country. Enjoyed reading this blog. Very informative. Thanks for posting such an amazing article. I think it is a great post which has drawn my attention to a new country in world. I knew my kid loves new places but I was not sure about the myanmar and the surprises this country has. This post has given me new ideas and I will arrange a few expensive trips to this beautiful country. Hii I just reached to your blog while reading some travel tips, I like your blog very much and i would and after reading your blog I am little bit excited to see those places.